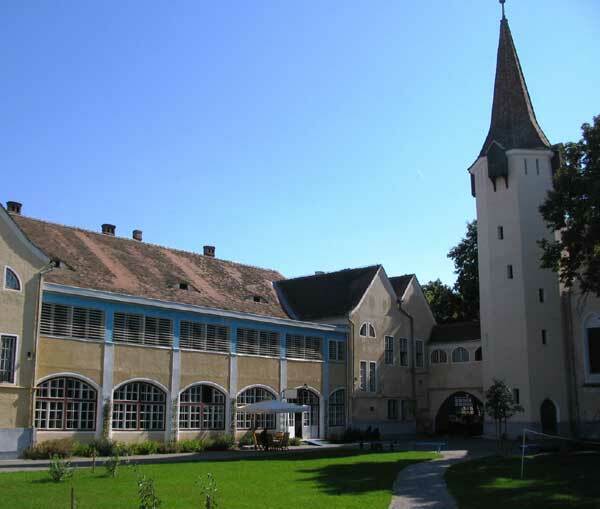 Johannes Kelpius was born in September 1667 in a small town in Transylvania, which was then occupied mainly by people of German ancestry. 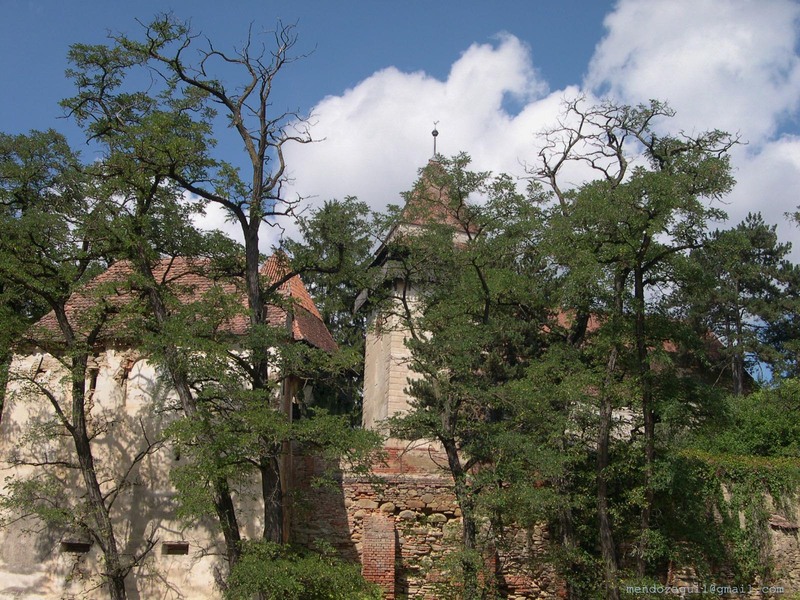 The town, today known as Daia in Romania, was then called Denndorf by the German inhabitants. 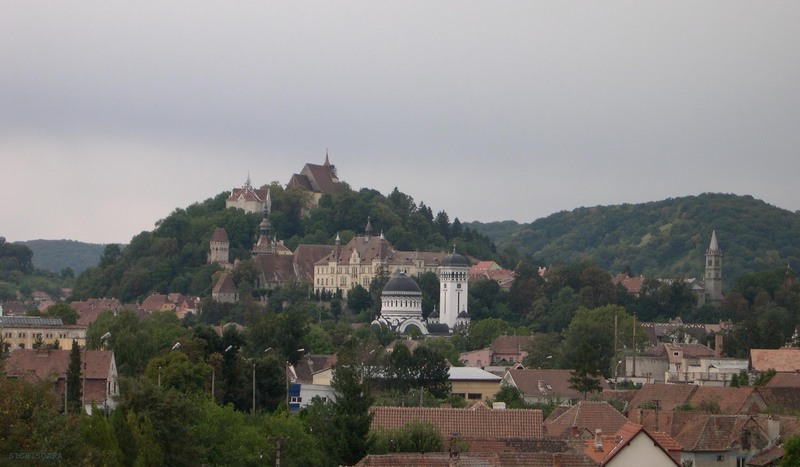 Kelpius attended school in the nearby larger town of Sighisoara, then called Shassburg. The area has a very long history of settlement, with archeological artifacts dating back nearly to 5,000 BC. 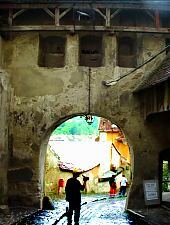 Today, Sighisoara is known as one of the best preserved medieval towns in Europe. 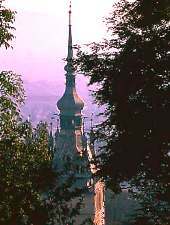 It boasts being the birthplace of the infamous Vlad the Impaler, the inspiration for Bram Stoker's Dracula. 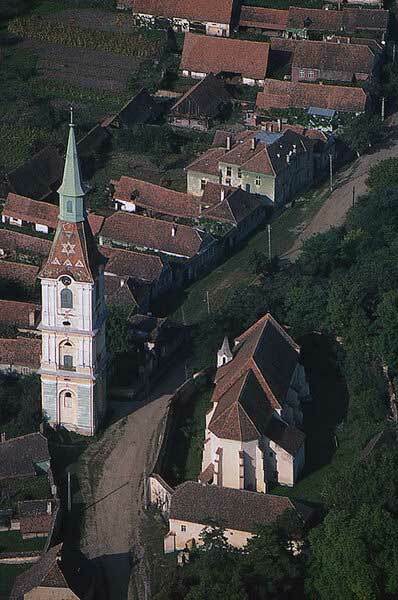 Above: The church where Kelpius' father was pastor towers over Daia. Enlarge to see the six-pointed star on the steeple.